This touring car championship takes place all across the world, with races taking place in countries such as Britain, Spain, Germany, and of course, Italy. Between March 10th and 11th, the FIA World Touring Car Championship comes to Monza. It is now regarded as one of the most important FIA championships in the calendar, alongside the Formula One and World Rally Championships. Originally, the World Touring Car Championship began in 1987, running alongside the European Touring Car Championship. However, this was only a short-lived deal, lasting for just one year initially. A variant of this was held in the mid-1990s, as the FIA hosted the FIA World Touring Car Cup. Again, though, this was relatively short-lived, lasting until 1995. However, shortly after the resurrection of the European Touring Car Championship in 2001, the revamped World Touring Car Championship began again in 2005, and enjoyed a brand new lease of life to popular demand. For those who think two wheels good, then the Superbike World Championship is a must. Although the championship again attracts riders from all across the globe, Italians take great interest, partly, it could be argued, because of the Ducati bikes, but just as importantly because of the excitement generated by these contests which again take place all around the world. Next Spring will see three examples of Superbike competing at its finest, as the competition comes to Imola, Monza and Misano. The championship has a long history, dating back to 1988. It comprises a number of rounds which includes two races, the results of which lead to consider not one but two annual World Championships, determining one for riders and one for manufacturers. For something just that little bit different, and for those who have a hankering for all motor cars historical, then the Mille Miglia is for you. The Mille Miglia's history dates back to 1927, when some of Italy's best-known racing drivers devised a lengthy race for production cars. The group, known as the Brescia Automobile Club, felt that the race would put Brescia on the map as the cornerstone of Italian automobiles. The open-road endurance race took place between 1927 and 1957. 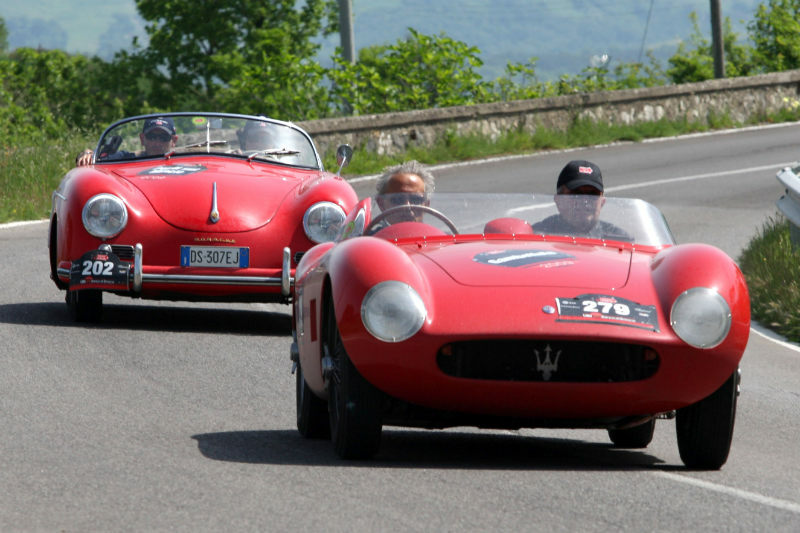 These days, the Mille Miglia is more of an event, and a must for car lovers from around the globe. In keeping with the original run of the race, only makes and models of cars that were made between 1927 and 1957 are allowed to take part. The event begins in the Duomo Vecchio, Brescia with mass, with the first leg of the race starting the next day, as the cars travel from Brescia to Ferrara. The following day, the cars move from Ferrara to Rome via Urbino, culminating in a parade of cars in Rome. The final day sees the journey back to Brescia from Rome. Come and see the embryonic stages of future Formula One hopefuls at the 2012 Italian Formula Three Championship. At the time of writing, no definite dates have been set, although the season traditionally lasts between late April/early May and October, so expect the pattern to be repeated next year. The Formula Three Championship is the first major breakthrough for amateur racing drivers who wish to graduate into the main competition stages. Formula Three winners have gone on to compete in events such as GP2, the A1 Grand Prix and Formula One test or race seats. Successful Formula Three drivers who have made the garde include Giancarlo Fisichella, Max Angelelli and Riccardo Patrese. The main motor racing event of the year (and also one of the longest running) is that of the Italian Grand Prix. The championship goes all the way back to 1921 – initially the race took place at Brescia, although it was the more familiar location at Monza that made its début the following year. In 1950, the Italian Grand Prix was announced as one of the inaugural Formula One championship races, and has enjoyed a consistent reputation with its annual event as one of the most anticipated motorsport events of the calendar. There's also good news for Monza, given the recent doubt over future hosting. A deal was finalised and signed in March 2010 by both the Monza track managers and Bernie Ecclestone, which will see Monza host the Italian Grand Prix until at least 2016. Tickets are already on sale for next September's spectacular, so snap one up while you can!